Did you know that there exists a super powerful energy within everyone, that when activated, can transform you mentally, physically, and spiritually? Shakti comes from the Sanskrit world Shak meaning “to be able to”. One of the most widely worshipped goddesses in India, Shakti is the Hindu personification of the divine feminine, a powerful yet primal cosmic energy that gives rise to existence. Skakti energy restores balance: every god in the Hindu tradition has it. Without it, they would be powerless. Why is it important to awaken Shakti energy? Modern society as a whole is out of balance, having an overabundance of masculine energy and a lack of feminine energy. 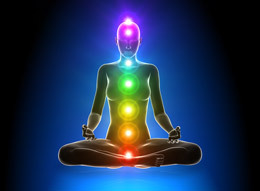 In order to restore balance and sustain life on mother earth, it is very important that not only women but men as well begin to reconnect to their inner feminine by awakening their Shakti energy. When you connect to Shakti, she will heighten your capacity to open spiritually, love deeply and fearlessly, create masterfully, and move through the world with joy and inspiration. What happens during and after a Shakti awakening? • Feelings of being at one with everything. • An zen-like state of consciousness. • Transcendent, mystical visions, & other deeply spiritual experiences. • Cathartic release of repressed thoughts/feelings, as well as piled up mental and emotional layers. • A more meaningful life, with a renewed sense of purpose. • Profound mental imagery with deeply personal, spiritual, & psychological significance. • Wonderful tingling sensations along the spine as the life force energy does its natural chakra balancing and healing work. • Better developed intuition, guiding you to personal and professional success. What is the very best way to awaken my Shakti energy? Meditation. By synchronizing both mind and body, meditation unlocks the energetic forces & primordial energy that lay dormant within all of us.